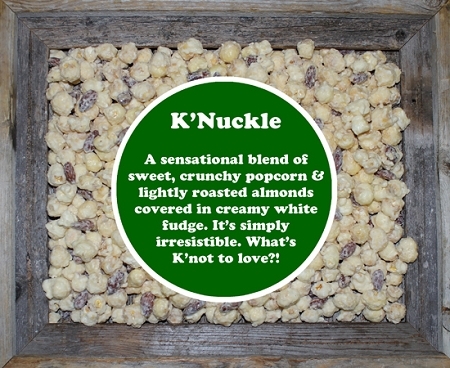 When one or two just won't do, enjoy rich, indulgent K'Nuckle by the case! 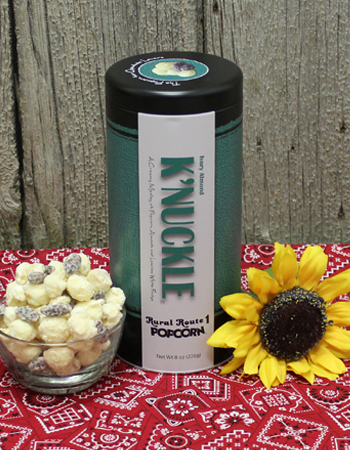 A creamy medley of popcorn, almonds, and luscious white fudge -a chocolate lover's delight! Case of 12-8 oz tins. Perfect teacher's gifts for the Holidays or whenever you want to give the sweetest of gifts!